After the Bill Nye/Ken Ham event in February, polls were conducted as to who won the Great Debate About How Everything Got Here. Using their Mac laptops, the two men had exchanged arguments for 150 intense minutes. At the end, only one issue seemed settled: regardless of your view of Adam and Eve, you can still choose an Apple. 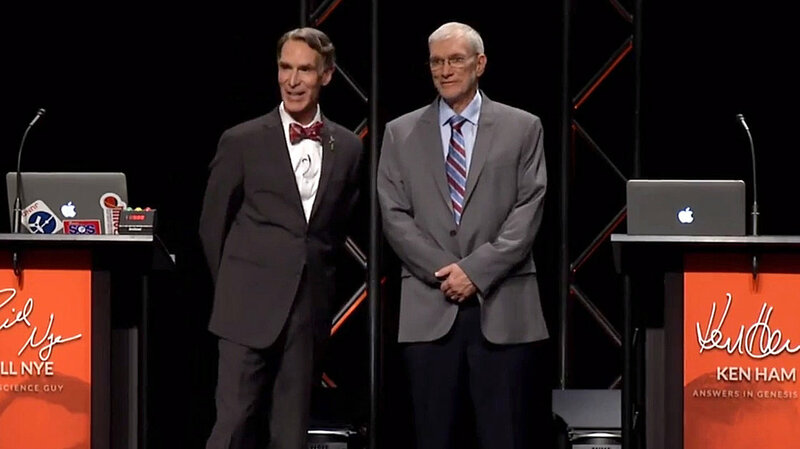 Nye and Ham discussed the age of the earth, Noah’s Ark, bow ties, fossils, sediment layers, kangaroos, the reliability of the Bible, the meaning of the color green, ice rods, the Big Bang, the Seattle Seahawks and much more. Because the subject of origins is vast and complex, seemingly beyond the reach of laymen, most Christians avoid engaging skeptics on it. But it won’t go away. We should prepare with a practical approach for the next time the issue is front and center. Bill Foster’s Meet the Skeptic, previously reviewed here, is made to order. Foster shows how to, 1) identify what kind of skepticism (unbelief) is being expressed, 2) use probing questions to uproot the idea beneath the objection. With this framework, we can see that Bill Nye primarily expressed scientific skepticism. That term intimidates many Christians. But don’t be rattled. Scientific skepticism, like every other kind, is a belief in something else besides Biblical truth. Often, that “something else,” down deep, is shallow. Decide what the discussion is really about. Nye then went on to rhapsodize about “the joy of discovery,” and how much he liked mysteries. But there is one mystery he avoided. 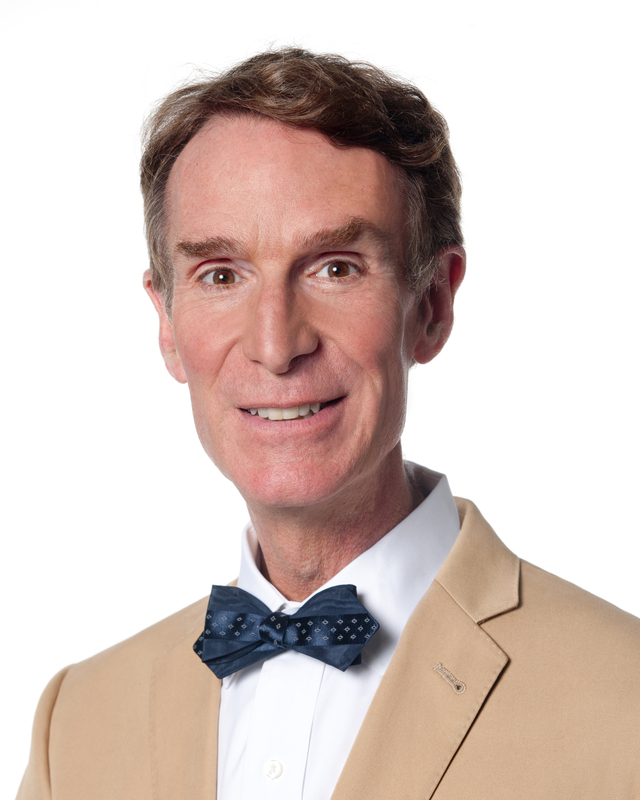 He believes in the worldview of his mentor, the late Carl Sagan, who famously claimed, “The cosmos is all that is, or that ever was, or ever will be.” Nye believes that the material universe is all there is. To paraphrase Madonna, Bill Nye is a Material Guy. The problem is not that scientists have yet to discover how consciousness came from matter. It is that according to materialism, consciousness, which is non-material, should not exist at all. If materialism is true, then we would not know it because we would not be conscious! Don’t preach to the choir. Instead Ham replied, “Bill, there is a book out there that does document where consciousness came from.” Well, of course. I’m just not sure that Ham showed why an unbeliever should consider the Bible to be reliable in the first place. It’s not that Ham can’t think well on his feet. He clearly can. But he fell into a trap where most of us have found ourselves at various times. First, we Christians talk mostly to each other, repeating beliefs that we all share. On the unusual occasions when we talk to skeptics, we repeat the same beliefs. That makes us feel good, but unbelievers stop listening. So we are still talking only to ourselves. Second, we assume that when a skeptic raises an objection, we must prove something. Not so. An objection amounts to a truth claim. The person making the claim bears the burden of proof. When an unbeliever launches an objection, a probing question shifts the burden back in a friendly way and nudges him to consider that his objection is not as amazingly strong as he thought. Jesus was in the habit of asking probing questions. We should be too. This is not a better way of convincing. That is the Holy Spirit’s role. This is a way to clear objections so we can present truth so that others will listen. Meet the Skeptic offers additional ideas for simple, thought-provoking questions. Pick up a copy and prepare to move out of the comfort zone of silence and into the confidence zone. This entry was posted in apologetics and tagged apologetics, Bill Nye, Carl Sagan, consciousness, Creation Museum, creationism, evolution, evolutionism, Foster on Faith, Ken Ham, materialism, Meet the Skeptic, Nye/Ham debate, scientific skepticism. Bookmark the permalink. The person making the claim DOES bear the burden of proof. In this case, if you, the Christian, are the one witnessing to a nonbeliever, who objects to a statement you make, you are the one making the truth claim, so you do need to “prove” something. Yes, if the unbeliever were merely objecting to a claim I make without making a counter claim, then I would bear the burden. I would welcome the opportunity to make my case, provided he indicated that he was genuinely open to the evidence. All too often, though, unbelievers’ objections come in the form of truth claims, (e.g., miracles can’t happen, the Bible is merely a human book with errors, etc. ), and Christians unwisely shoulder the burden to disprove rather than shifting the burden back where it belongs.